Retail operations software equips brick-and-mortar retail stores with tools to take their existing data and leverage it in a way that benefits their business. Often this data is pulled from POS systems, retail management systems, and other retail software that are used on a daily basis. The retail operations platform takes this data and analyzes it, providing managers and business owners with usable insights. These insights may revolve around pricing, inventory management, or store layout. The goal is to optimize a store for maximum sales by using data that the store is already collecting. Retail operations software may integrate with retail POS software, retail management systems, or retail task management software to gather data. 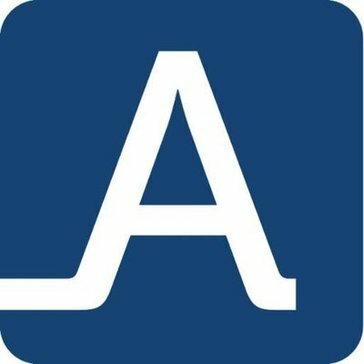 Retail Operations reviews by real, verified users. Find unbiased ratings on user satisfaction, features, and price based on the most reviews available anywhere. a4RetailStores is able to forecast future sales and customer demand. The application excels the statistical approach by using complex data analytics algorithms. Managing and optimizing the environment of retail stores requires people counters that can deliver reliable and accurate information. Before any strategic analysis takes place, our 3D camera is the key to capturing your traffic data. Blue Yonder offers machine learning solutions for retailers to optimize business processes through better, automated decision-making. Bluize Venue Management is a software incorporates comprehensive real-time tracking of every stock movement and value to give the instant access to current stock levels and detailed activity history. BRdata's Enterprise Suite offers a complete back-office solution for wholesalers, retailers and grocery store chains. Manage all store chains from your centralized headquarters using BRdata Host. Your powerful and flexible in-store solution is BRdata Store; track sales movement, maintain item, price and cost information, print shelf labels, create orders and use RF handhelds directly from aisles. CB4;s software leverages your POS data to detect in-store operational issues affecting items with high local demand, helping your team capture lost sales. This results in better customer experience, higher sales, fewer expensive, time-consuming store walks, and more time focusing on the highest ROI tasks. DataWeave helps businesses make data-driven decisions by providing relevant actionable data. Your store’s complete foot traffic solution. Dor is a wireless, thermal-sensing people counter and analytics dashboard that helps you save money on staffing, maximize your marketing return and make proactive decisions about external events that impact your store. Dor's sensor and hub work seamlessly to collect and deliver your store’s foot traffic data. Use the Dor analytics dashboard to make decisions from anywhere, or integrate Dor with current tools with our powerful API. Dressipi is designed to provide retailers with data driven, actionable insight on why customers buy and return specific products. Tenant Management System is a solution for collecting POS sales and reporting of business intelligence data for leased retailers. 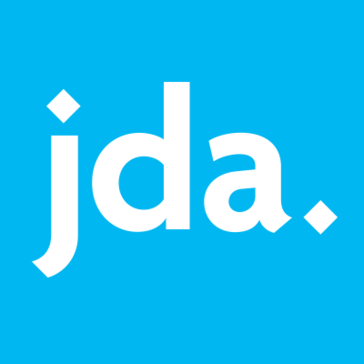 JDA Assortment can help, by linking buying decisions to actual consumer profiles, removing the guesswork and driving higher sales and margins across all your channels. This powerful solution combines in-depth analytics, consumer purchase preferences, complete assortment lifecycle planning, and sizing and pre-pack optimization into one simple, easy-to-use workflow. At Mi9 Retail, we believe that great retail experiences take place when optimized product planning and inventory management intersect perfectly with skillful customer engagement and point-of-purchase execution. The results are better revenue and margin performance, greater customer engagement and value, and a more satisfied, loyal workforce. Mi9 Retail offers a complete suite of solutions that include merchandise management, point of sale, customer engagement, clienteling, order management, and e-commerce – all connected to a common analytics framework. We build our software on state-of-the-art technology that protects our customers’ investments and delivers a measurable ROI. Our software runs on the latest cloud platform so it’s fast, scalable, reliable, and secure. We invest in the rigor and discipline of sound product development processes so that our software is easy to upgrade and maintain, ensuring that no customer is ever left behind. 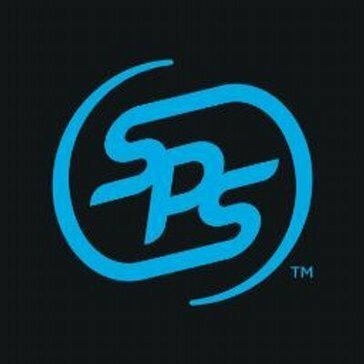 PriceStrat is a pricing optimization software for retailers with integrated promotion modeling and optimization. Quad Analytix offers retail intelligence, automation, and analytics to optimize assortment, promotions, and pricing. RSi Analytics Platforms is a business intelligence software that offers automated alerting, dashboards, retail reporting, and analytics. Sku IQ is an omni-channel retailing system for both in-store and online businesses that connects point-of-sale data to eCommerce, apps, and marketplaces. The platform enables users to manage sales, inventory and customers in one dashboard, eliminating double data entry. The solution provides users with cross-channel analytics, and helps minimize overselling with automated quantity adjustments between POS and eCommerce. Sku IQ unifies all inventory data, allowing organizations to push their products from their POS system to their eCommerce with a click. All items sold in-store will be deducted from the website, eliminating inaccurate sales and nightly reconciliations. The consolidated sales dashboard allows users to see their online and in-store sales in real time, with actionable analytics throughout in-store and online channels. SKUPOS is a platform that streamlines ordering and operations for the convenience retail industry, and offers features for sales analytics and insights. We also activate our C-Store clients for Scan Data reporting in order to earn incentives from leading manufacturers. TrueVUE's Inventory Intelligence is designed to help using RFID technology and robust inventory software to collect meaningful insights that enable a more personalized customer experience through better inventory visibility. Sets up a sales strategy by identifying the trends of the stores where the stores are located. Why Use Retail Operations Software? Who Uses Retail Operations Software? Retail operations software is specifically designed for brick-and-mortar stores to help them optimize their day-to-day operations. By integrating with the tools already used by a retailer, retail operations software provides real-time business insights into customer experience and customer demand. These analytics can help retailers improve the efficiency of their stores by helping them make adjustments to pricing, marketing, and store layout based on data collected by existing software solutions. Data from POS software, inventory management software, retail accounting software, and even customer loyalty software can all help improve day-to-day operations. The insights generated by retail operations software can improve not only sales but also customer service, management, and the overall shopping experience in your store. The more technology you have implemented, the more applications of retail operations software become available. Running a store requires a huge amount of work to organize all the moving parts required to keep the lights on. With the already large amount of software available, adding on another solution may seem daunting. However, the potential benefits to your business are huge if you are looking for a way to get a leg up. More and more, businesses are turning toward data to provide deeper insights into how their business is working, how customers are interacting with the business, and how their employees are contributing to success. With retail operations software, this data can be applied directly to the store and its inventory to create an ongoing plan for growth. Store Optimization — Retail operations software is designed to smooth out retail store snags. By using data pulled from retail management software and retail POS software, retailers can see which products are moving, which aren’t, and which products are typically bought together. These insights can help plan future inventory so money is not being spent on inventory that no one is buying and design the ideal store configuration to sell the most inventory. For stores with multiple sales channels, retail operations software can also determine which inventory is more popular in your e-commerce store versus your physical store. It may also be able to analyze your marketing channels to determine how people are interacting with your social media profiles and which marketing is most successful. Employee Empowerment — Your employees are crucial to helping you create success, so giving them the power to improve day-to-day operations can only be a good thing in the long run. Your employees are also the primary users of a lot of your retail technology, so making sure that you are collecting the best data possible from these tools will ensure the best possible insights for your business. Employees also play a large part in customer satisfaction; ensuring employees are making the changes prompted by the retail operations software will further guarantee success. Employees can also use the tool to make small changes throughout the day based on real-time data. Data Collection — Even if the data are not being used immediately, regularly collecting data can reap huge benefits down the line. Being able to monitor long-term trends in your business can help you stay afloat if things start to turn sour. If you can identify what works well, you can replicate it when needed. Retailers — Any retail business with a storefront can benefit from retail operations software. By taking a high-level look at the business using the data collected by retail operations tools, a retailer can see how individual stores are performing and how their customer demographics and location affect their individual performance. Each store can use both its individual data and the overall business’ data to improve operations. Retailers can also use retail operations software to save money on inventory and create a standardized brand experience across stores. By not stocking inventory that is not being sold or moving that inventory to stores where it is popular, retailers can save money in the long run. And by seeing what resonates with customers at individual stores, that experience can be rolled out across multiple stores. Retail Managers — Managers at the store level can use retail operations software to optimize store functions and ensure maximum sales. Based off of data pulled from the store’s software tools, managers can make small or large adjustments in order to emphasize certain inventory or improve customer experience. Those adjustments may include ordering more popular inventory, creating discounts that appeal to a certain type of customer, or arranging the store to improve customer flow. Retail Employees — Store employees may use retail operations software to make small adjustments to improve the customer experience. Placing a popular item closer to the cashier or restocking a popular item in the middle of the day can improve sales if there is data to support these actions. While store employees are not empowered to make large-scale decisions such as which inventory to order or how to arrange the store, smaller improvements such as an extra employee helping to organize the fitting rooms or stocking the shelves during the day can have a large impact over time. Integrations — To be successful, retail operations software must be able to gather data from tools being used by the store on a daily basis. These platforms are typically POS solutions, retail management systems, retail analytics software, loyalty management software, workforce management software, or any other software used by the store regularly. The more seamless the integration between the retail operations tool and these other solutions, the easier it will be for the tool to gather and analyze data. The more data analyzed, the better the insights. Reports and Analytics — The entire point of retail operations software is to provide usable analytics to help improve store and business performance. These reports and analytics may take a variety of forms, but they must be readable, easily understood, and easily implemented. Training Tools — Some retail operations tools may contain features to help train or onboard employees on certain processes. Making it easy to transfer knowledge makes the store more efficient and employees better empowered to make changes on a daily basis. Mobile Capabilities — Retail operations tools with mobile capabilities help employees and managers receive insights on the fly and make changes while they’re on the floor. Mobile capabilities also make it easy to record data from individual employees at a moment’s notice. Employees can also receive notifications from either the software tool or their managers without disrupting their daily tasks. Hi there! Can I help you find the best Retail Operations solutions?